Paul Mathis from Melbourne has developed the replacement of the word 'the' — an upper-case 'T' and a lower-case 'h' bunched together so they share the upright stem. He has also developed an app that puts it in everyone's hand by allowing users to download an entirely new electronic keyboard with his symbol — which he pronounces "th" . 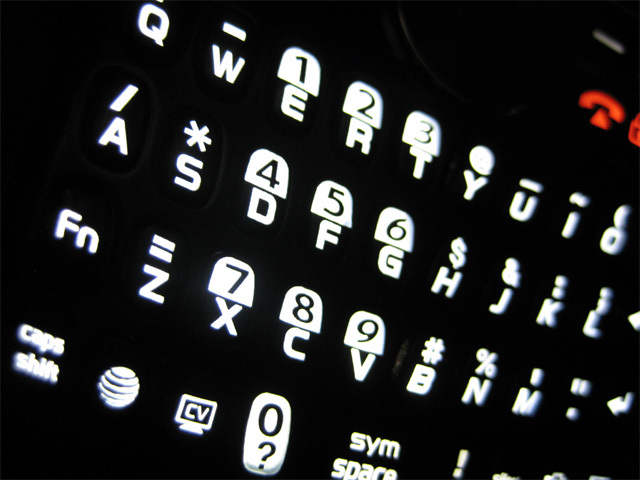 The keyboard also has a row of keys containing the 10 or 15 most frequently typed words in English, 'The Age' reported. So far, Mathis who has opened over 20 restaurants and hotels across Australia, has invested about $75,000 in the project. "The word 'and' is only the fifth-most used word in English and it has its own symbol — the ampersand. Isn't it time we accorded the same respect to 'the' ?" Mathis said. "It is something that might be useful for people? I think so," he said. Typing the symbol will save time mainly in the context of Twitter. "The main functionality of this is in the texting space," Mathis said. He has faced criticism on Twitter from people who say he is attempting to trademark a symbol that has long been in use as part of the Serbian Cyrillic alphabet (pronounced "tshe" , the letter represents the "ch" sound found in the word "chew" ), the paper reported.